Subir Raha, former CMD ONGC and former Chairman ONGC Group of Companies left for heavenly abode on 01 February, 2010. Subir Raha, born on August 28, 1948 graduated in Electronics & Tele-communication Engineering from Jadavpur University in 1969. He was also an alumnus of the Administrative Staff College at Henley of Leeds University, UK. He joined Oil and Natural Gas Corporation Ltd as Chairman & Managing Director in May 2001; and separated on completion of 5 years tenure in May, 2006. ONGC achieved multiple milestones during his tenure. ONGC’s market capitalisation zoomed to become the highest among all Indian Corporate. He was personally instrumental in ONGC acquiring MRPL and turning it around from almost BIFR status to the present Mini-Ratna status. He also led ONGC into aggressive exploration, especially in deep waters of India, and initiated IOR/ EOR projects to arrest the production decline of its mature fields. He also led ONGC from a sectoral E&P company to become an Integrated Energy Major on global scale; acquiring many equity assets overseas. He also initiated expansion of ONGC into various value integration projects in the field of Petrochemicals, SEZ, Power, clean coal energy and alternate sources of energy. Under his dynamic leadership, ONGC was the first Indian Corporate to sign the Integrity Pact with Transparency International (India) Ltd in April 2006. To further improve transparency in business transactions in ONGC, he introduced IT along the entire supply chain management of ONGC. Introduction of regular meeting with Vendors, Analysts, Investors even Employees were also unique initiatives of Mr. Raha. He branded ONGC from a Govt undertaking to a global oil and gas major through series of media interaction and branding activities. 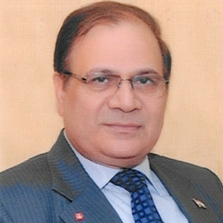 He started his career with Indian Oil Corporation Ltd, as a Management Trainee in 1970. 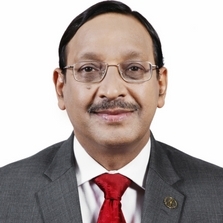 After a series of field and staff assignments in various disciplines, he joined the Indian Oil Board as Director (Human Resources) in June 1998. Before joining the IndianOil Board, he also served on deputation (1996-98) with the Government of India as the Head of the Oil Coordination Committee, Ministry of Petroleum & Natural Gas. Subir Raha is survived by his wife Mita, daughter Shuva and son Abhijit. Mr. Ajit Kumar Hazarika, a First class graduate in Mechanical Engineering from Assam Engineering College, Guwahati, joined ONGC as Graduate Trainee in 1976. Having more than three and half decades of varied experience in ONGC, Mr. Hazarika has vast knowledge of the entire gamut of oil and gas industry. Mr. Sudhir Vasudeva, former President, Global Compact Network India, served as the Chairman, Managing Director at Oil and Natural Gas Corporation Limited until February 28, 2014, and also served as Head of its Offshore Oil & Gas Fields. Mr. Vasudeva, a Gold Medalist Chemical Engineer from National Institute of Technology, Raipur joined ONGC in 1976. 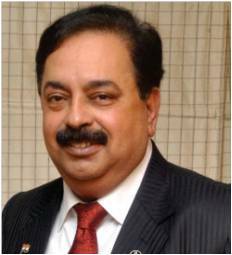 He climbed the corporate ladder steadily and joined ONGC Board as Director (Offshore) in February, 2009 and finally took over as CMD in October, 2011. 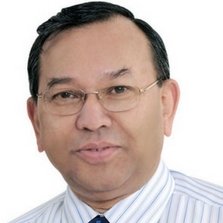 Credited with many path-breaking initiatives in complex offshore project management, he has been conferred with the coveted CEPM-PMA Fellowship on Project Management in December, 2011. With immense experience on the larger canvas of oil and gas industry, Mr. Vasudeva was quite clear on his priority: pursuing energy security for the nation by accreting and acquiring new hydrocarbon reserves, improving production from brown fields and augmenting production through fast track development of newly discovered fields. 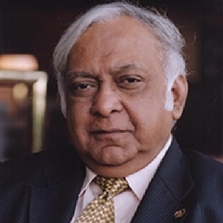 Mr. Vasudeva also served as Chairman of Petrotech Society, Chairperson of SPE Indian Council as well as a Director At-large in SPE International Board of Directors, the first by any Indian. A passionate technical man Mr. Vasudeva was also associated with many other professional bodies. A strong proponent of pursuing alternate and renewable sources of energy, Mr. Vasudeva Chaired the ONGC Energy Centre Trust. A firm believer in transparency and ethical business practices, Mr. Vasudeva embraced the Ten Principles of United Nations Global Compact since the beginning of this initiative in India.